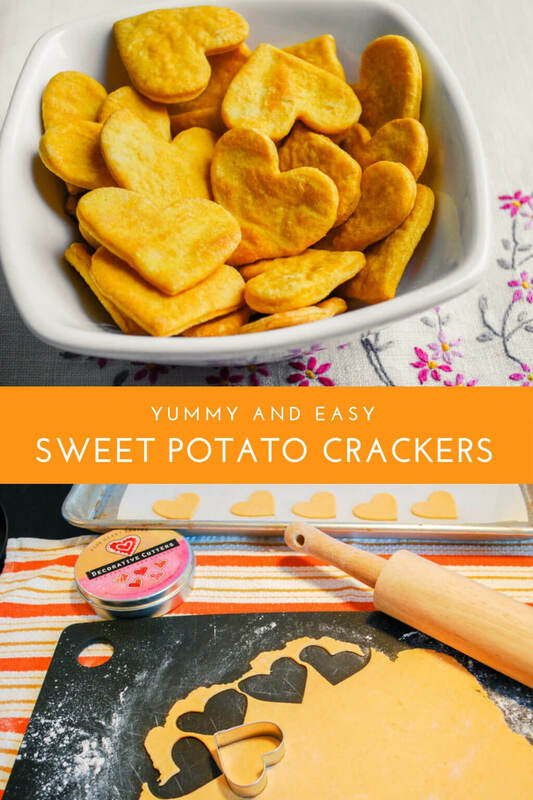 I’ve been making this sweet potato crackers recipe again and again since Thanksgiving’s sweet potato leftovers and I think it’s high time I passed along this yummy kid-friendly crackers recipe. Once you make these easy, healthy-esque sweet potato crackers, you’ll be floored at how few ingredients are in a box of store-bought crackers. You’re truly paying for packaging. 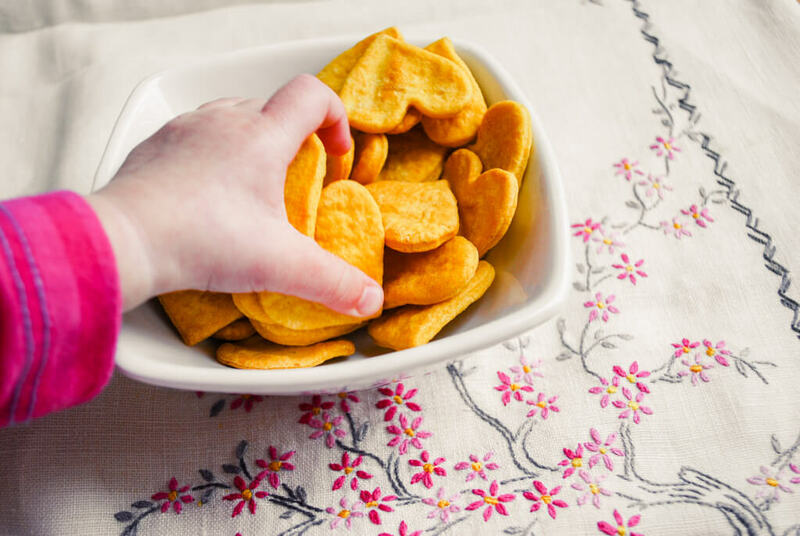 I found this sweet potato crackers recipe from the North Carolina Sweet Potato Commission, making some ingredient changes to make it a little more kid-friendly as well as adapt the instructions for my KitchenAid Mixer . They’re so good …you can’t even tell these crackers have vegetables in them. I love eating them, and I my little recipe taster Elise totally agrees. Makes the equivalent of about one box of crackers. 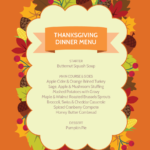 This recipe was adapted from the North Carolina Sweet Potato Commission’s Snappy Sweet Potato Crackers recipe. NOTE: After reader feedback and re-testing, I lowered the baking powder amount. The original North Carolina recipe uses way too much! Cook sweet potato until softened. The original recipe suggests boiling it in water but I prefer to roast it in a 400 degree oven for about 45-50 minutes. It’s easy – all you do is place a potato on an aluminum-foil-lined jelly roll pan and that’s it. You can bake it while you’re making other food, and you can roast more than one potato and freeze the puree in silicon ice cube trays, store it in Ziploc freezer bags, and then just thaw it whenever you want to make some crackers (I learned this trick from making Elise’s baby food purees). Or you can cut the potato into pieces and steam it until softened. So anyway, however you cook your sweet potato then let it cool, remove the skin and purée using a hand blender (these are the best for making purees) until it’s a smooth mixture. You may need to add water by the tablespoon to make a smooth puree – add it one tablespoon at a time and add more as needed. You will need 1 cup of sweet potato purée. Like I said, freeze the rest in silicon ice cube trays and then store it in Ziploc freezer bags until you need it. Set the cooled sweet potato puree aside. 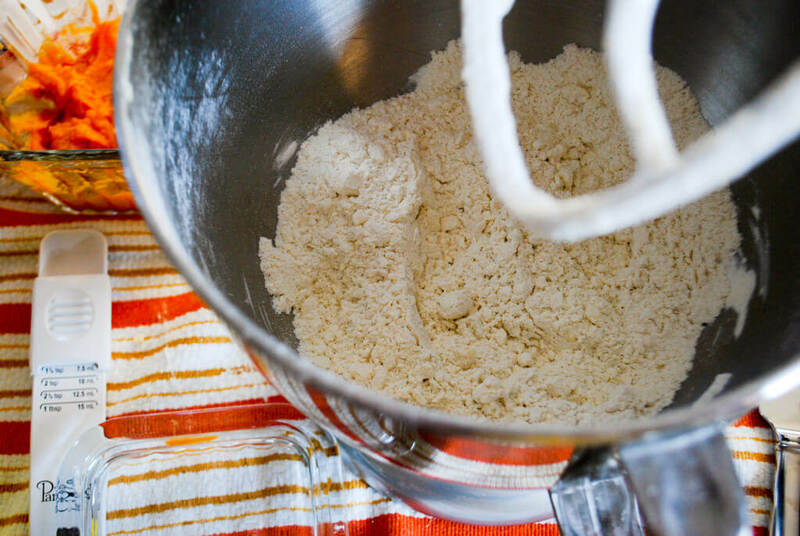 Place butter or solid (not melted) coconut oil into the bottom of your KitchenAid Mixer . 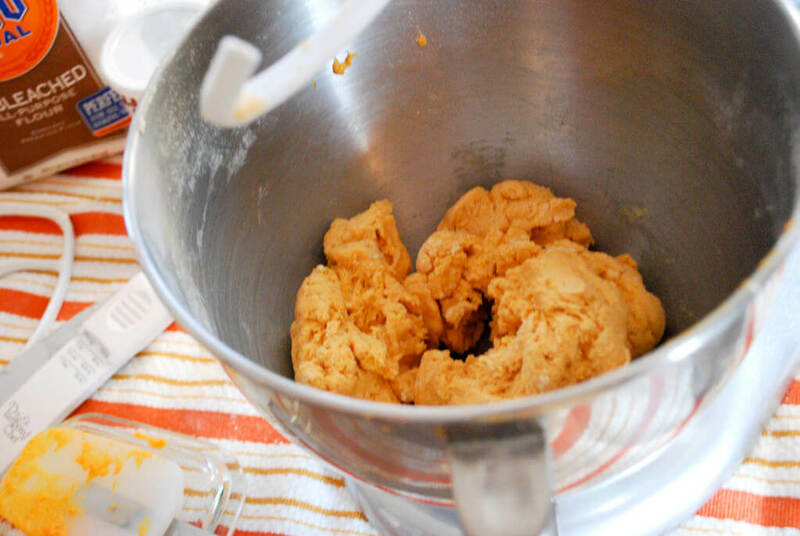 If you don’t have a KitchenAid Mixer , well …you should really get one, saves tons of time baking, but anyway go ahead and follow the original recipe instructions. Sift flour, baking powder, sugar and salt together into a large bowl. 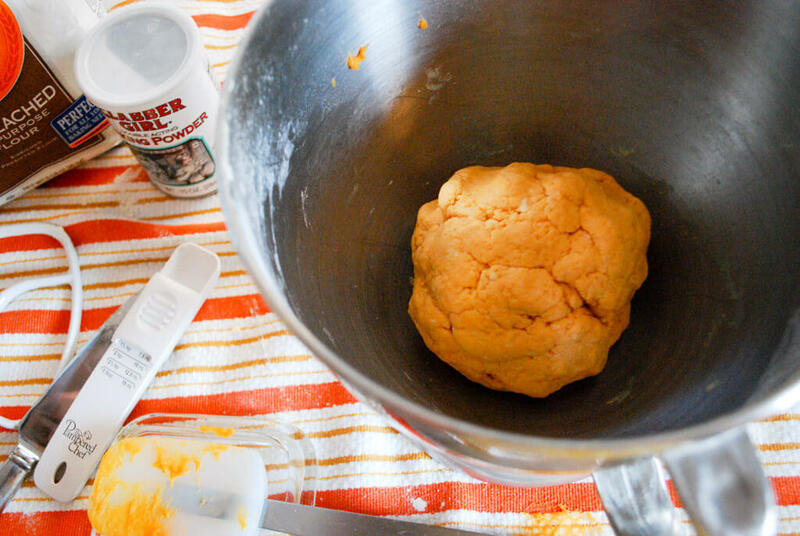 Switch your KitchenAid Mixer’s regular mixing attachment to the dough hook attachment instead. Add the sweet potato puree and let it stir until it turns into one big clump like this. Roll it into a ball using your hands. Divide dough into 4 pieces. For easier rolling, wrap it in wax paper and chill for 1/2 hour. 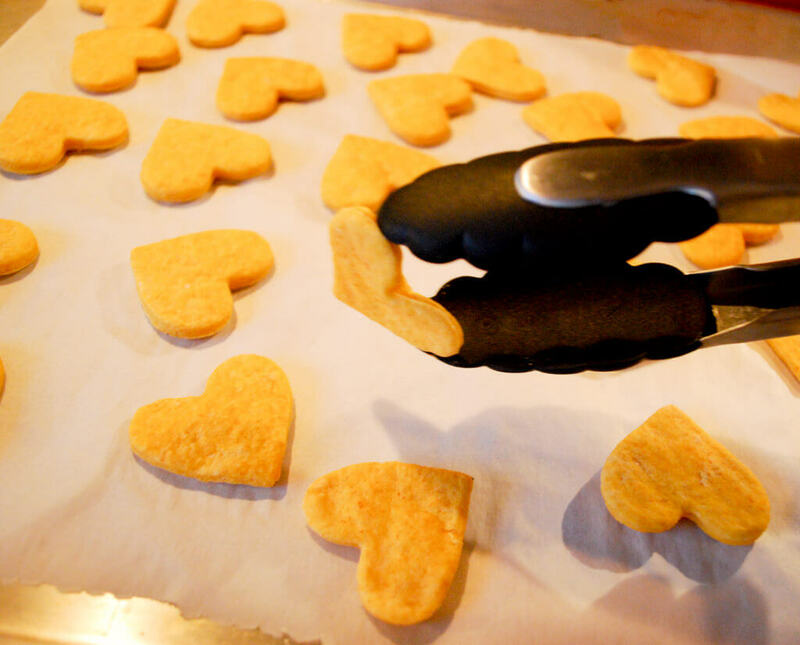 Turn out onto a lightly floured surface and and roll each very thin. Seriously, as thin as you can roll it. 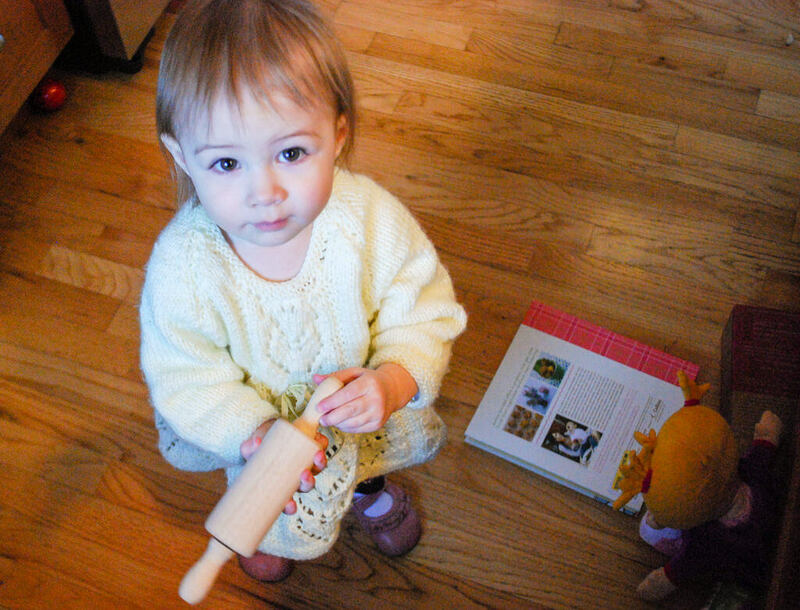 If you can use rolling pin rings you’ll be in better shape than I was – you’ve got to make sure it’s all even so the crackers all bake evenly. 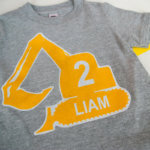 Cut using small cookie cutters. 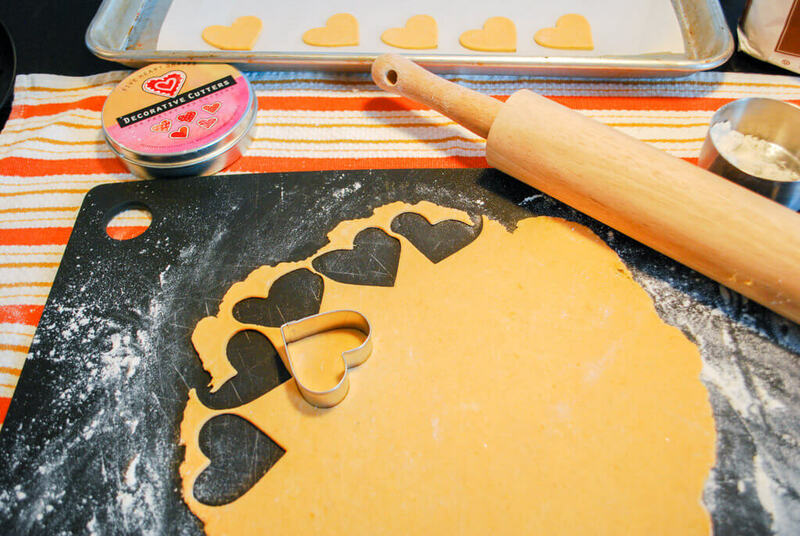 Here I’m using heart cookie cutters but I’ve also used these great mini-cookie cutters. 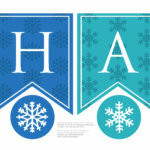 Place on a jelly roll pan or cookie sheet lined with parchment paper. You can sprinkle with salt, sesame seeds and a little cayenne, if desired. I skip it for the kid crackers. Bake in a preheated 350 F oven on an ungreased parchment paper-lined jelly roll pan or cookie sheet for 10 minutes until bottoms are slightly browned. Turn over and bake until they’re crispy. The original recipe says 3-4 minutes more but mine are always another 8-12 or so …maybe it’s my oven. Cool on a wire rack before storing in a airtight container. Remember there aren’t any preservatives in these so you should probably snack them up within a week. Here comes Elise again to grab some crackers from my photo shoot! 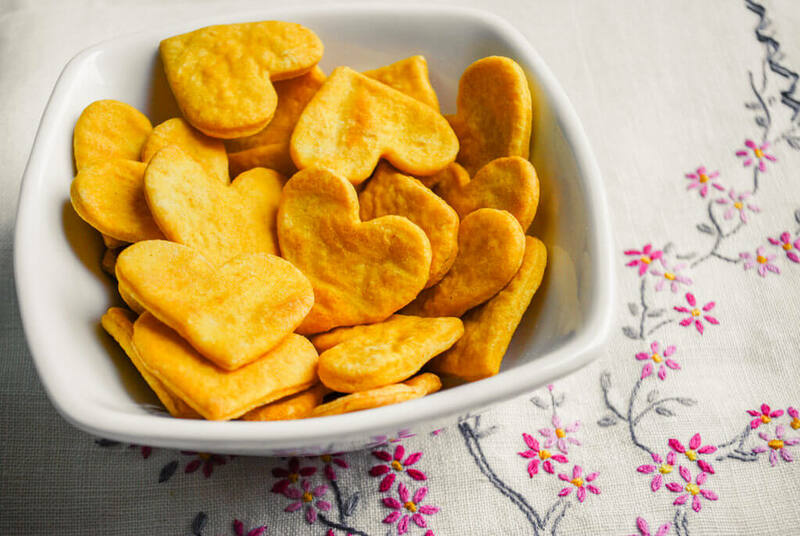 These look delicious… the perfect healthy treat for little ones! Thanks for sharing the recipe!! I’ve heard such wonderful things about the nutritional value in sweet potatoes. I must give your recipe a try! I have a baking cookbook that suggests using a pasta roller to make crackers. I have made wheat thins, graham crackers and cornbread crackers using a pasta roller. It works great, though you have to make adjustments as you go to make sure the dough is not too wet or dry so that it goes through properly. My little one loves sweet potatoes, so I will have to give this a try. Thanks for sharing. 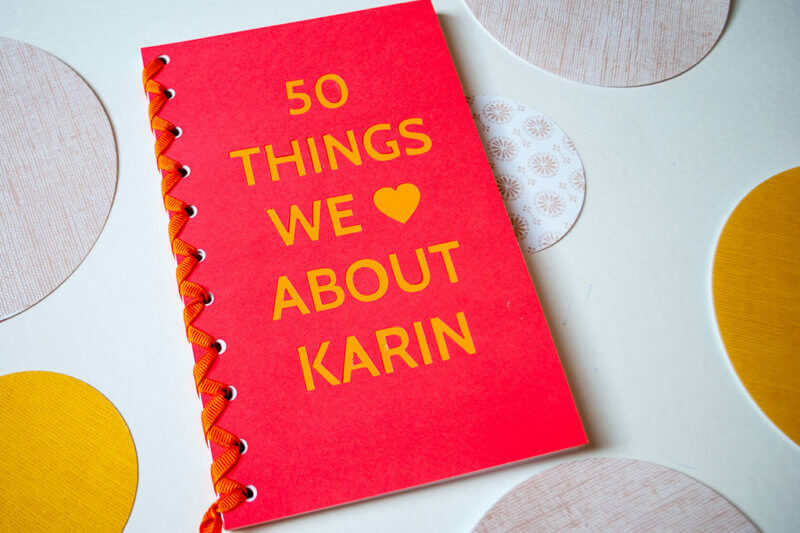 Hi Carrie, using a pasta roller is a great suggestion. I got one for my husband a few years back and, well, it’s still in the box. I’ll have to break it out. Thanks! I made these and they are great! My very picky 2 1/2 year old LOVED them! He (no joke) ate 1/3 of the crackers that I made! I probably shouldn’t have let him eat that many especially b/c he didn’t touch his dinner about 1.5 hours later. Anyway, I substituted half of the flour with white whole wheat flour – it was great and an added benefit of a bit more nutrition. 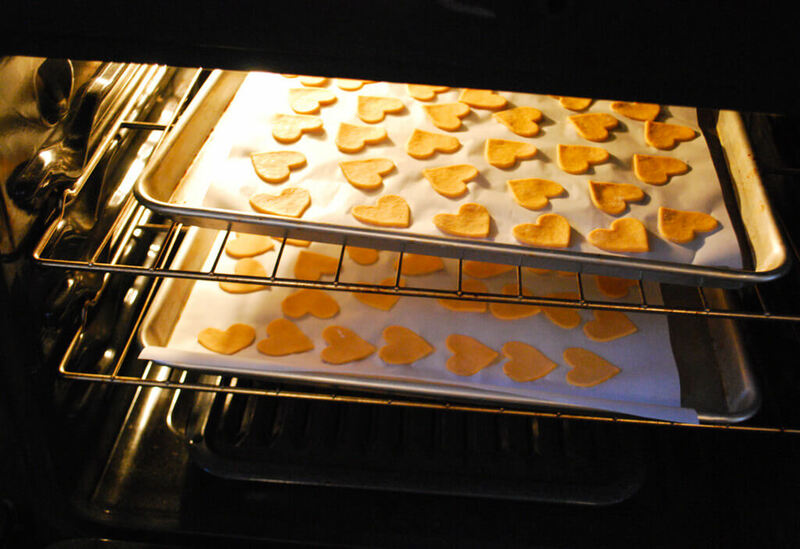 You definitely need to use small cookie cutters – I used some bigger heart shaped ones for V-day and they didn’t turn out as crispy. The only small negative I have is that the recipe calls for a lot of baking powder – which gives it a slight aftertaste – but obviously my boys didn’t care at all! 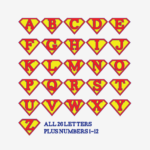 Just one questions – what is the 1t of sugar for? Thanks so much for posting this recipe! Hi Cristina, that’s great! Glad that he liked them and doesn’t it feel good to sneak in some veggies? Good feedback on the powder taste. I may try a combo of baking soda and baking powder next time to try to see if that helps. And you can totally skip the sugar if you’d like for a more savory cracker. 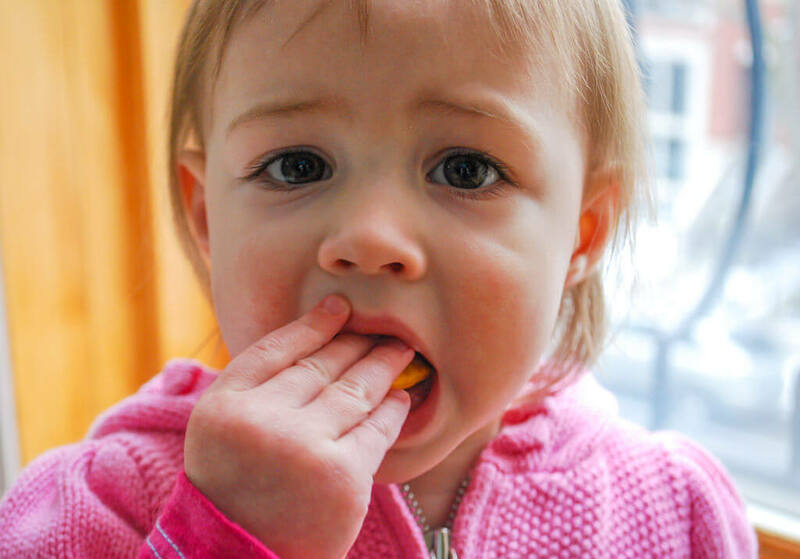 I like sweet crackers …bad, I know, and am probably tainting Elise (sorry dolly!) so feel free to skip as desired. Enjoy! I just made these and they are great! My 9 month old loved them! And even my husband, who thinks sweet potatoes are death, liked them! I had a hard time getting them REALLY thin but oh well. Thanks for a great recipe!! hi! i am excited to try these….i just made my puree…but mine is really pale….more yellow than orange…they said they were sweet potatoes….? @Elizabeth, hmm, I dunno, maybe it’s a variety of sweet potatoes that’s more yellow? Ours is usually orange orange orange. Dang, Luciana! Bummer. I checked the original recipe and it does say tablespoons which I didn’t alter but now I’m wondering what would happen if it was backed down? I’m not a gigantic fan of sweet potatoes, even though I know that they’re SO healthy, so I’m definitely going to try out this recipe. Perhaps I’ll successfully sneak some sweet potatoes into my own diet! Hey @pumpkinbear, I’m curious what you’ll think of these when you make them! Keep me posted. 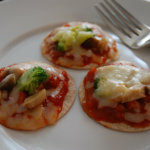 These look so yummy and I’m sure my boys would enjoy them because they love crackers! YUMMM! I am a big advocate of healthy snacks! What a wonderful recipe. Bookmarking it now! I made these for the 2nd time, it is MUCH better with the reduced amount of baking soda! I got some smaller cookie cutters that I didn’t have last time – and they were done faster. My first batch were overdone so they had to be tossed 🙁 I eventually got the timing right to where it was not chewy, but crispy, but not too dark – 9 min on one side, then 6 min on the other side. Thanks again! These are so yummy! Thank you so much for sharing. I’m new to baking… well, new to the kitchen in general… but I was having a problem with how sticky the dough was. It kept sticking to my make shift rolling pin and the counter. I put the dough on a ‘lightly floured surface’ but still had problems. They tasted great but were a hastle to get onto the baking sheet. Any ideas? Hi Micah, the first time I made them I left out the milk because we were out and it worked out fine, in fact the dough was a little sticky when I rolled it (so I had to add some flour to the rolling surface and pin until it was easy enough to roll) so I decided to leave it out going forward. I would love to hear if you find the same? I am so excited to have found this recipe but I need to make a few adjustments as my son has allergies to milk protein so I have to use dairy free butter as well he has a gluten intolerance so I think I will try making this with brown rice flour and see how it works. I also bought potato flour but not sure if that will work or not so will try with brown rice flour first. I bought some great mini cookie cutters at Michaels. Hi Melissa, those adjustments sound interesting so let me know how they turn out. Also if you need help identifying a good gluten free flour, go check out my friend Heather’s site yumuniverse.com …she is a cracker queen so would probably have some options for you to try. Enjoy! Dough is sooooo sticky. It was driving me crazy lol. Also when I went to pull them out I burnt myself cuz they slid off my sheet and after all that hassle of sticky dough I didn’t want to lose all of them and ended up burning myself lol. ANyway I only did a small amount of the dough to see how they turned out and if he even eats them cuz I’m not going through the hassle if he won’t even eat them lol. These were delicious and so easy to make! 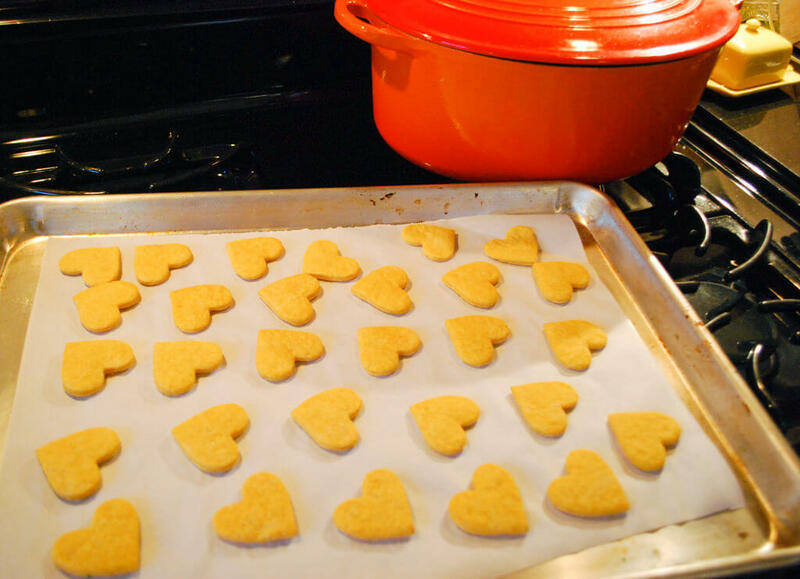 I will admit that by the end I rolled the dough out and instead of using the cute fish and duck cookie cutters I took out the pizza roller and make squares – so much faster and the kids couldn’t have cared less about the shape – they gobbled them up! thrilled to have an easy way to sneak more veggies in their school lunches. I’m excited to try this with other veggie purees – thinking carrot, beets and butternut squash is next on the list. I made these with different baby food veggies- one batch with sweet potato and another with a garden vegetable blend. 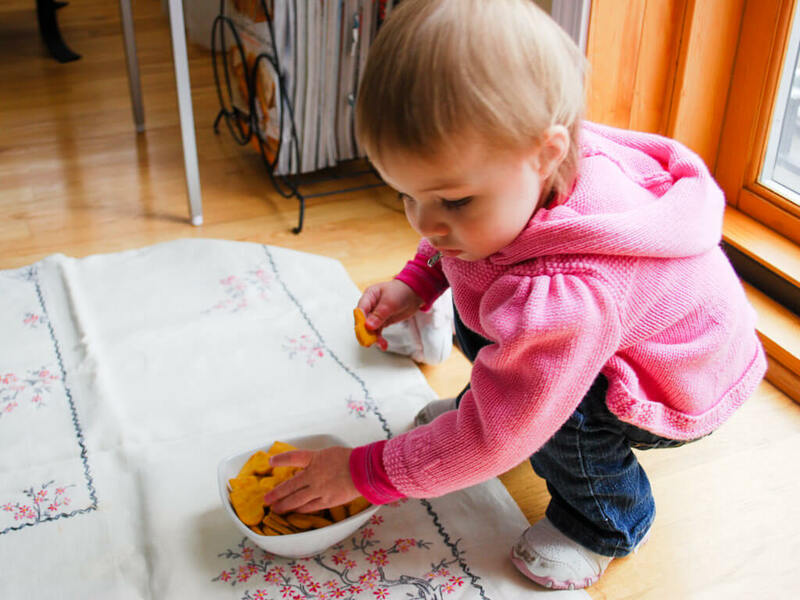 I had so much pureed baby food that we didn’t use because we ended up doing baby led weaning. I was trying to find something to use up the tons of containers of baby food I had in the pantry. They turned out great, kept very well in the airtight container I stored them in, and my 1 year old LOVED them. Erika, this is very cool. And smart! Did you just substitute out the same amount of baby food? I love love shortcuts. Hi ChristyLou, that’s a smart tip. Thanks for sharing! A couple of suggestions: If you don’t have a pastry ring, you can use a wooden yardstick that has been cut in half. That should be pretty close to the thickness you would be looking for. Also, if you are like me, when we go out to a steak place, I often get too much food because of the amount in the servings. I always order a baked sweet potato as my side-plain and ask for a to go box for it. I then have breakfast for the next day (Mmmm cold is the best!) or the beginnings of some baked goodness like these crackers. 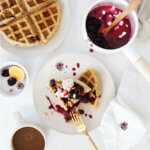 Have you ever tried sweet potato waffles? Delish! Hi Kim, these are great suggestions! Ordering a baked potato is genius. I haven’t tried sweet potato waffles, wanna point me to a good recipe? Hi Hannah, squash puree sounds good. I’ll have to try that. Thanks for sharing! Hi Mags, that’s a great question. I’m going to reach out to the Sweet Potato Commission and will keep you posted. Aren’t they yummy? 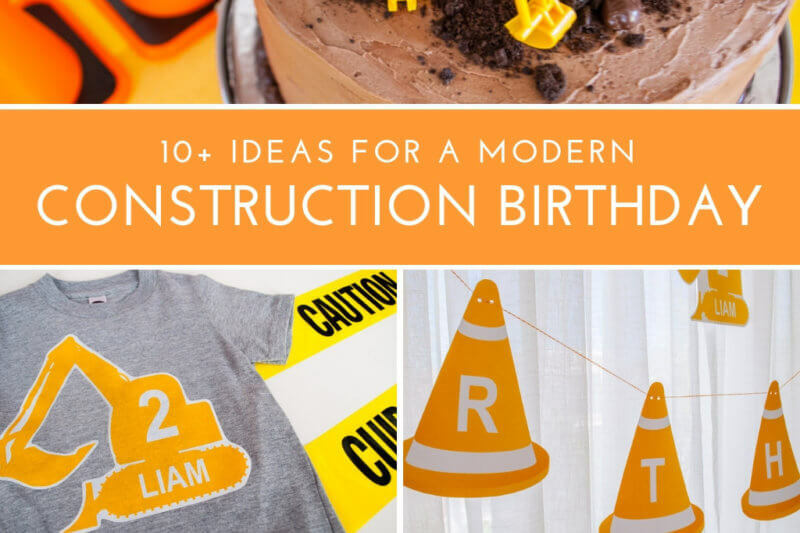 Can’t believe how easy they are to make. Hey Mags, I contacted the North Carolina Sweet Potatoes @Sweet_Taters on twitter and they said they can’t see any reason why you coudln’t freeze the dough for a short period of time. Let me know how it goes! Just wanted to let you know, the link to North Carolina Sweet Potato Commission’s Snappy Sweet Potato Crackers no longer works. It says “Page not found”. Also, I can’t wait to give these a try. My 20 month old is intolerant to MANY fruits and veg (and dairy) but sweet potatoes are on the Yes list. Thank you! Just made these for my sweet-potato-loving husband as a savory Valentine. They were a big hit with us both! I have the Joseph rolling pin with rings on the side and was able to roll them out verrry thin, but mine still came out with quite a lot of air bubbles, some almost as though they were mini pita bread hearts with two sides and a pillow center. Still scrumptious, but I’m wondering what I could do to make them just one-layered and very crispy. Hi Beth, thanks for your comment! I’m glad they tasted good for your husband’s Valentine’s Day gift. I think it would be worth trying less baking powder, maybe just 1 teaspoon. Someday I should experiment with no baking powder just to see what happens! If you try it please let me know. Has anyone tried adding veggies to the sweet potato? My daughter loves these and I want to change them up a bit. I was thinking brocolli, will it work? I haven’t tried broccoli. I bet it would work as long as it doesn’t make the puree too watery – you may need to add a bit of flour to compensate. Let me know if you try it! 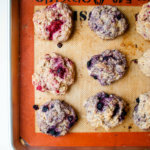 Has anyone tried using wheat flour? I haven’t but now that you mention it I’d like to try it! If you get to it before I do, let me know how it works. I made them last night using 1c. AP flour and 1/2 cup course ground wheat and they turned out great. I will definitely make again. Great to hear! I want to try that now, so smart. Just made these with avocado instead of sweet potatoe and they turned out great!! Pam, that sounds cool. Did you substitute the same amount of avocado for sweet potato? I’m so curious to try this out! Very nice.. Looks yummy.. I am going to give it a try.Sweet potato and Avacado was my daughters favorite when i introduced her first. But now she doesn’t like that. I will introduce her as cracker. She will be one in a week and has two lower teeth. I pretty much give her everything. She chew and eat. But sometimes she pukes everything at the end.Just wondering if she can eat this? I don’t see a clickable link for a “print friendly” version (less all the pictures and commentary)?? Am I missing it here somewhere? 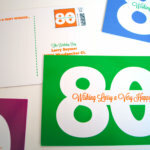 Hi Ginger, I’m hoping to redesign my site soon with a print friendly version feature. Thanks for the suggestion! Major league sweet potato lovers in my house, so I’ll be trying these with nut flour and Stevia, since we’re also grain and sugar free. The cookies AND the baby, are adorable!!! Made these for my 18 month old, who’s not a fan of sweet potatoes. She couldn’t get enough. I substituted the sugar for honey and next time will add some spice. They were delicious. Thanks for sharing. My dough came out wet and sticky, what did I do wrong? Do you think these would work with pumpkin puree? Hi Dianam! Try this online calculator: http://www.convertunits.com/from/grams/to/cups It looks like 1-1/2 cups is 355 grams. I hope that helps, and happy cracker baking! Oh my God, I’ve checked yesterday and I’ve found that 1,5 cup correspond to 180 grams! Hahahaha! Ok then, thanks for your answer anyway and I think I’ll just add the flour little by little… I’m so afraid that the dough won’t have the right texture 🙁 Should the dough be harder than a pizza dough, for example? Made these once and they turned out great. I used a mixture of brown rice and teff flour. I didn’t bake them all at once, did one round each day over a few days. But just now I went to bake off a batch and after being in the refrigerator for 2 days- just couldn’t find the time to bake them – the dough looks darker brown on the outside. Only recipe change was white whole wheat flour this time around. Worried they spoiled. Thoughts? Hmm, interesting, is the dough brown all the way through or just on the outside? Was it dark when you made them two days ago or did it turn darker in the fridge? Sweet potato shouldn’t turn brown like normal potatoes so this is a puzzler.